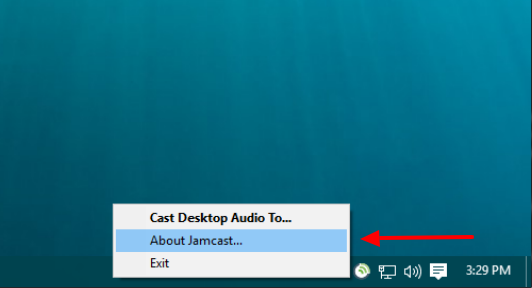 Locate the Jamcast icon in the Windows system tray and right-click to show the popup menu. 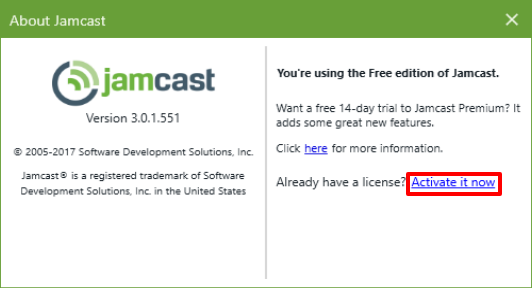 Choose the "About Jamcast..." menu item. Click the "Activate it now" link to display the activation form. 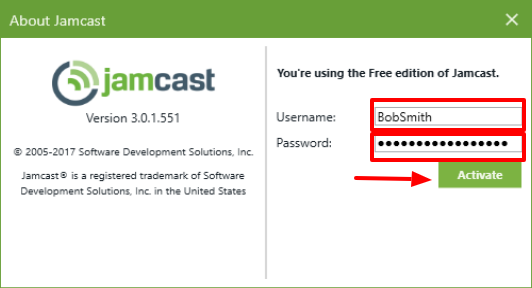 Enter your Jamcast username and password, then click the Activate button. It should only take a few seconds at most to activate. 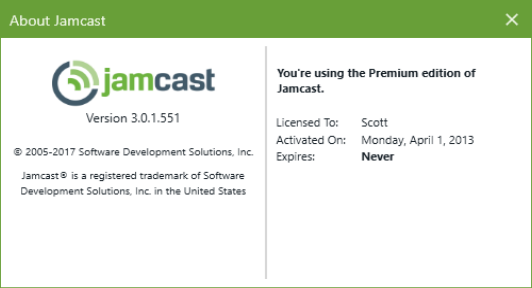 Jamcast is now activated and running in Premium Edition mode! Click the Close button after you've verified that the activation was successful.